Saturn’s role in love and relationship compatibility is often thought of as a negative thing, because Saturn has quite a scary reputation in astrology. However, many astrologers find a strong Saturn link between two charts to be on the of the most positive things for a relationship, and will always look for that as a major factor when asked to check compatibility. So what does Saturn represent, and what role does this planet play in astrology compatibility? Saturn is the planet of responsibility, caution and limitation or restriction. 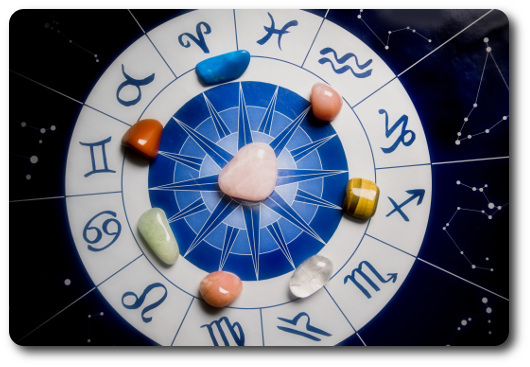 Its place in a birth chart generally indicates where the individual has some battles to fight, where life may not go as they would wish, or where their greatest and heaviest responsibilities lie. 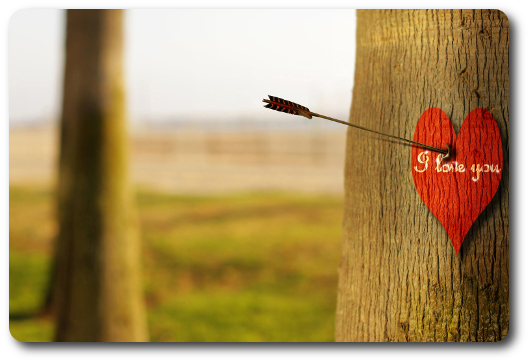 Not exactly a promising thing, then, in love and relationship compatibility – or is it? Despites the hardships Saturn can sometimes bring, this planet is also our greatest teacher, because it’s through Saturn that we learn the lessons of life. For a relationship to survive and thrive long term, a link from at least one partner’s Saturn to a significant point in the other’s chart is pretty essential. It shows us that the relationship will have its difficulties, yes, but it also shows us that there’s something there worth fighting for. Saturn is a slow moving planet and spends around two and a half years in each sign of the zodiac – so we don’t place a great emphasis on the Saturn sign itself, unless there are other factors in the birth chart which increase its importance. It’s much more about which house Saturn falls in (representing an area of your life) and about how Saturn relates to your partner’s chart, and his or her Saturn too. In love and relationship compatibility, there’s a fine line between a positive, grounding, teaching Saturn link and a negative, depressive, suffocating one – to check compatibility properly requires a full, professional analysis, like the ones provided in an Astromatcha compatibility reading. In general terms, however, the most positive Saturn links between two charts are trines or sextiles from one person’s Saturn to the other’s Mars, Ascendant or Moon. These aspects provide the positive elements of grounding and reality checks from one person to another, without too many of the negative elements Saturn can bring. Oppositions from Saturn to the other person’s chart can be very difficult and trying indeed, and tend to indicate that the Saturn person is trying to hold back his or her partner in some way. Conjunctions are generally positive, but what starts out as a positive, stabilising influence can quickly become overpowering and suffocating unless the non-Saturn person has other balancing elements in their own chart. Saturn aspects in love and relationship compatibility can bring wisdom, maturity and commitment to any relationship, but it’s important to see the whole birth chart in order to analyse how the harsher elements of Saturn are being mitigated. On the level of Saturn signs, and compatibility between those signs, it is generally helpful if the partners share a Saturn sign, or have Saturn signs in the same element (which would require an age gap of 8-10 years or so between the partners), because that means that they will have similar views on responsibility (or the lack of it) and on what needs to be taken seriously in life. Neighbouring Saturn signs cause conflict over the realities of love and relationship compatibility issues, but this is only a minor influence if other compatibility factors are good. With so many complex factors to consider, the best way to check love and relationship compatibility is to purchase an Astromatcha compatibility report – or, if you’re feeling lucky, why not enter our monthly draw? One lucky reader each month will win a free compatibility report, and it could be you!